This week was mostly spent on Round 3 of the closed Beta: testing, bug fixes and tweaks in preparation, sending out emails, collecting feedback, etc. Beam weapons. Currently enemy only, but I think they will get added to the player tech tree eventually. I’ve designed them as very high DPS weapons, but each individual source on the ship needs to be primed in sequence, so they start slow and become very powerful gradually. Misc marketing and business stuff, finally got confirmation of LLC formation. 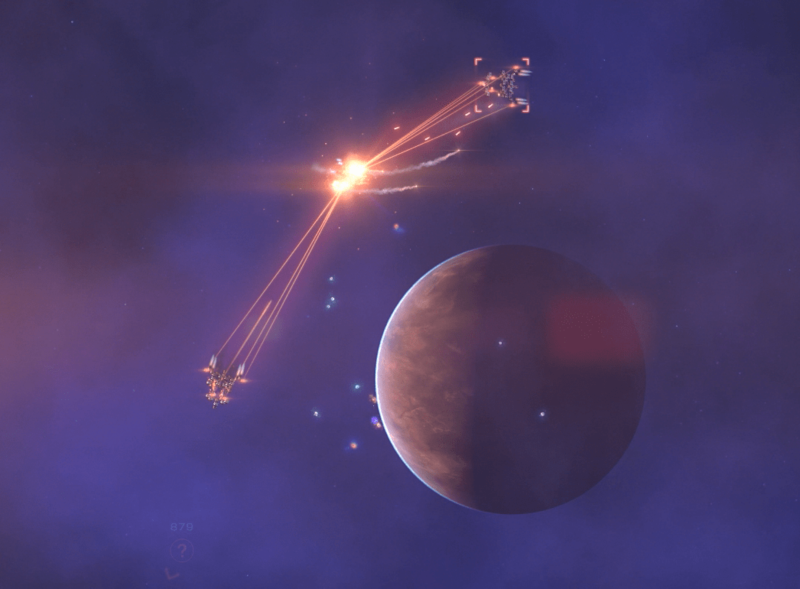 The player becomes the focus of two Sentinel Cutters’ attention.